When the Stratocaster Bob Dylan played at the 1965 Newport Jazz Festival sold in 2013, it fetched just below $1 million, nudging out Eric Clapton's "Blackie" to be the most expensive guitar ever auctioned. That Dylan's Strat was famously used at Newport when he first went "electric," makes its historical quality difficult to match. Today, Heritage Auctions put up the second ever Dylan guitar to go auction, where it fetched the still-considerable sum of $396,500. 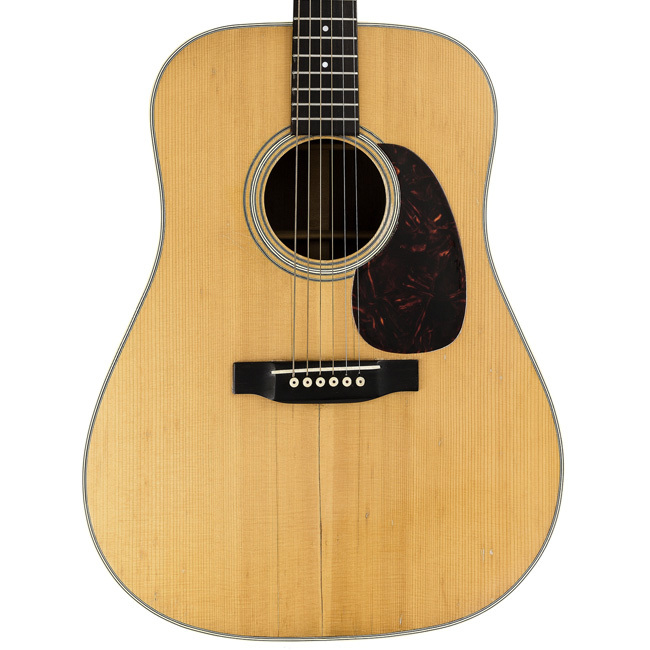 The 1963 Martin D-28 was used by Dylan during his '75-'76 Rolling Thunder Revue tour and at George Harrison's Concert for Bangladesh in 1971. Since 1977, the guitar has been owned by Larry Cragg, the respected guitar tech for Prince, Dylan, and others, who, among other things, is known for modifying Neil Young's "Old Black" Les Paul. Cragg bought the D-28 off of Dylan for $500.